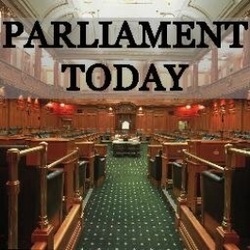 Coverage of Parliament and its proceedings. It is presented by Tom Frewen and Reesh Lyon and prepared with funding from the Office of the Clerk. The programme broadcasts on Wellington Access Radio, Monday - Thursday at 4.55pm. Questions about Parliament, its proceedings and procedures are welcome and should be emailed to Tom.